So, you've decided to add on to your home. Before tackling the details, educate yourself about what's possible with an addition. In a nutshell, there are six basic design options for additions. Outside structure additions, like porches and sunrooms, serve to connect a home to the outdoors and provide extra living space in good weather. These popular additions can be open, screened in, or glassed in. They are great places for both relaxing and entertaining. If you are looking for a small-scale addition that adds a little room to your interior and dimension to your exterior, consider a bump-out. 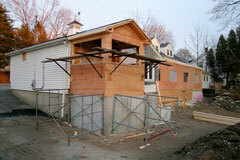 Bump-outs are created by extending a wall a few feet. While the space gain is negligible, the effect can be powerful. A bump-out can loosen up a tight room and transform a flat wall into one of architectural beauty. 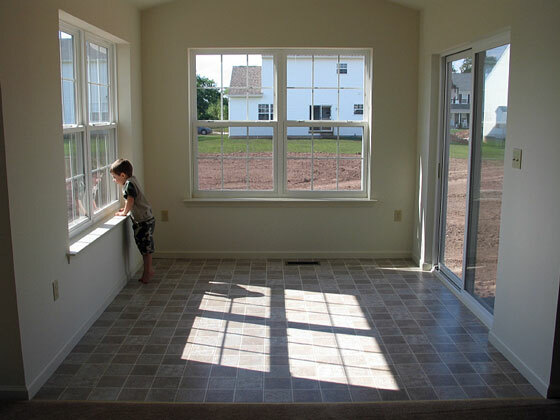 Single room additions comprise a standard-sized room, and often give the homeowner the new room they've been wanting, whether it's a family room, mud room, or master suite. Wing additions are a good solution if you need more than a single room. Make sure your lot is big enough to handle a wing addition, or you may have resell issues. Second story additions are good for people who want to expand their space but have small lots. In this situation, going up is most likely the best alternative. Before building up, you'll need to check with your town's zoning and planning offices to be sure your addition doesn't violate any height rules, and you'll also need to consult with an architect to make sure your walls and foundation can support the addition. Two-story additions can be a creative solution to more space needs. A tower can be attached directly to the house, or a two-story addition can be built separately and attached by passageways on each level. Visit the Family Home Plans and The House Designers websites for sample room addition plans that may be adaptable to your requirements.